The Walking Dead #75, features art by Charlie Adlard, Cliff Rathburn and Ryan Ottley! Lines are crossed, rules are broken and the peace and tranquility of the community are shattered. After months of safety and security, are Rick Grimes and the crew prepared for what they now face? As an added bonus: a very special back-up story drawn by Ryan Ottley in full color–a first for The Walking Dead! The Walking Dead #75, a 40-page black-and-white comic book featuring the first-ever full-color Walking Dead back-up story, will be available for $3.99 on July 14, 2010. Exciting stuff indeed – but will we see it in July, seeing as we still haven’t seen #71 and we are fast approaching the end of April? Whatever – when it comes out, issue #75 looks pretty explosive. 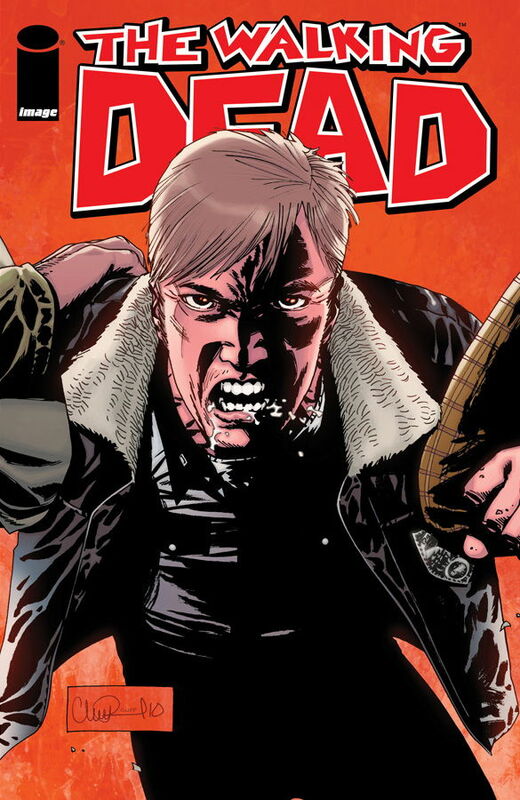 I like Ottley’s art, but I don’t know if his style will lend itself to the Walking Dead – Adlard’s art defines the title. We shall see….